As a facialist I often discuss tips on improving complexions with my clients but in so many skin consultations I hear clients repeat the same mistakes that I thought it would be worth looking at some habits that are certainly doing your skin more harm than good. The basic premise of most of these points is personalised skin care. There are so many products and treatments available to suit all skins. The problem with this is if you were to take all of your friends and put them together you probably wouldn’t have the exact same skin as one of them – why then are you all using the same products? I really believe in seeking professional advice for a personal programme but here are some general tips. 1: Choosing the right cleanser for your skin creates the basics upon which all other skin care work so therefore choose wisely. Cleansers laden with mineral oil on oily or acne prone skins can be a total disaster. In the same way dry skins often use cleansers that strip oil causing themselves more problems. If you have dry skin never use soap, shower gel or anything with a foaming agent unless it has been specifically prescribed for you. Most of the above strip skin leaving it dehydrated and sensitised over time. I won’t even get started on wipes! Simple changes to this step can have a knock on effect to your whole skin care routine. 2: Why are you toning? Is it because you have been brainwashed from a young age to cleanse, tone and moisturise or was it prescribed specifically for your skin? Toners are designed to remove excess cleanser – that’s it. Some cleansers leave a residue on the skin so toners come along and remove this making sure it doesn’t block your serum or cream from penetrating. Quite a number of professional cleansers do not leave residue therefore toners in some cases are completely unnecessary. If you do need to use a toner in your current routine – check if it contains alcohol, if it does throw it out. 3: The right moisturiser – this can be a complete mine field so again my advice is to have a consult but there are some basic points I want you to think about. A healthy skin does not require a moisturiser, a healthy skin hydrates itself. An example of a healthy skin is a baby or child – they don’t use moisturiser. It’s usually around teenage years or twenties when people start to use products (generally the wrong ones) that the problems start. Tight, sensitive skin is not something we all have to go through in face feeling like your face is going to crack when you get out of the shower is the first sign to me that your skin is not functioning effectively. Functional skin care is about feeding skin the right nutrients and support necessary to function at its best. Exactly like your diet. This premise is lost on so many products that smell and feel lovely but just drown your skin in completely inactive ingredients which can actually make your skin cells switch off. You are sending skin cells in the deeper layers signals that they do not need to work because you have it all covered. Do you? What your skin needs are antioxidants and in particular vitamin C and A to function properly. If you want an anti-age effect these ingredients in effective doses should be part of your routine. 4: The expression you are what you eat is very true for beautiful skin. A diet high in sugar will prematurely age you. Avoid sugar and processed foods where possible and reduce caffeine intake as much as you possibly can in fact preferably give it up. Drink plenty of water. It is imperative for proper skin functioning. 5: Smoking – need I say anymore? Smoking floods your body and skin with free radicals drowning its ability to protect itself. It causes cell mutations leading to ageing, reduces circulation to the skin and robs the skin of vital nutrients. Please give up. Jeanne Brophy has been working as a facialist for over a decade. 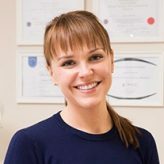 Jeanne’s holistic approach & understanding of skin health has earned her the reputation as one of Irelands leading skincare specialists. Her focus on skin health has taken her on seminars & courses throughout Ireland, the U.S., France & the UK, discovering innovative skincare solutions for healthy radiant skin. 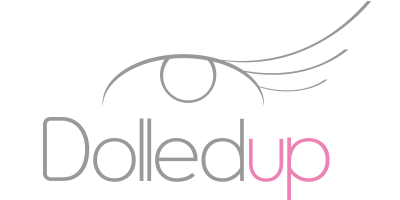 Her aim is to help all her clients become truly confident in their own skin .